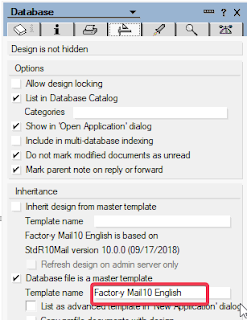 Last Octobert IBM and HCL has released the new , nice and handsome Domino and Notes V10, but right now using Smartcloud Notes the mail10 template is not yet available as default. During last days I've opened a case and I've obtained the correct way to obtain the V10 template to complete the upgrade. After some hours service should confirm the analysis result with a success or a failure with a brief description of the issu. After a successful confirm, the template will be inserted to the delivery queue and will be delivered on the cloud instance related to the customer ID used in the procedure. In our case we have wait 1 business day for this last step. 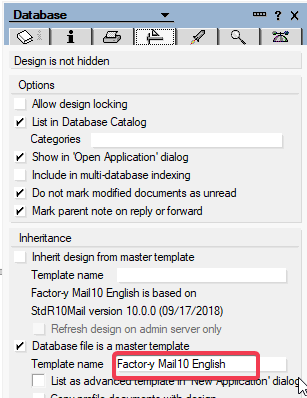 In our case the mail 10 template was delivered and set as default template, so check it if this settingis correct for your environment. With mailV10 from 10.0.1 , you have to deselect the following properties from the template before send , to aviod the failure. I know the procedure already from our customized email template. Normally you need after the automated test also a manual check of the code by a IBM technican. This technician also transfers the template to the Cloud server. The manual test is not necessary in this case, but it is necessary to contact anyone to do the transfer after the automated test? Do you know if all Domino 10.0.1 template functions are supported in the cloud Service-Only?